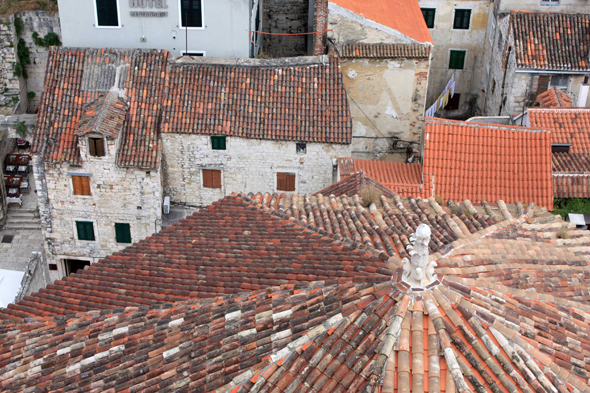 The roofs of Split. The Venetian conquest of 1420 marked the beginning of a long decline. During the XVIIth century, strong ramparts were built in order to deal with the Turkish threat.